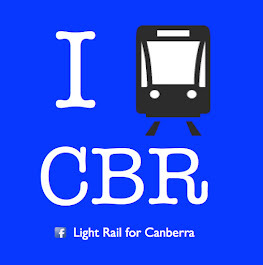 The election campaign is in full swing and the Canberra Liberals are making many promises about redirecting light rail funding and spending it somewhere else. This is pretty impressive considering that spending on light rail will be only 65 million dollars a year, for twenty years. On 10 August 2016 the Canberra Liberals announced they would spend $395 million on a hospital instead of light rail. 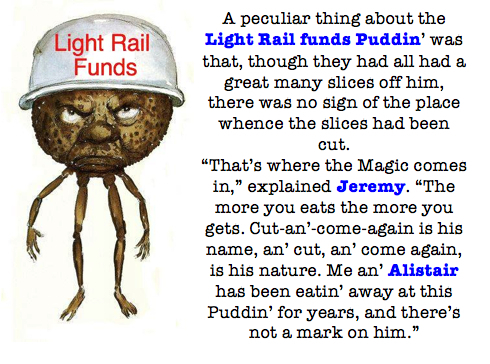 Clearly they have been to the Magic Pudding School of Economics.